Kołakowski was born in Radom, Poland. Owing to the German occupation of Poland (1939-1945) in World War II, he did not go to school but read books and took occasional private lessons, passing his school-leaving examinations as an external student in the underground school system. After the war he studied philosophy at Łódź University. By the late 1940s it was obvious that he was one of the most brilliant Polish minds of his generation, and in 1953 earned a doctorate from Warsaw University with a thesis on Baruch Spinoza in which he viewed Spinoza from a Marxist point of view. He served as a professor and chairman of Warsaw University's department of the history of philosophy from 1959 to 1968. In his youth Kołakowski became a communist. In the period 1947 to 1966 he was a member of the Polish United Workers' Party. His intellectual promise earned him a trip to Moscow, where he saw communism in practice and found it repulsive. He broke with Stalinism, becoming a "revisionist Marxist" advocating a humanist interpretation of Marx. One year after the 1956 Polish October, Kołakowski published a four-part critique of Soviet-Marxist dogmas, including historical determinism, in the Polish periodical Nowa Kultura. His public lecture at Warsaw University on the tenth anniversary of Polish October led to his expulsion from the Polish United Workers' Party. In the course of the 1968 Polish political crisis he lost his job at Warsaw University and was prevented from obtaining any other academic post. He came to the conclusion that the totalitarian cruelty of Stalinism was not an aberration, but instead a logical end-product of Marxism, whose genealogy he examined in his monumental Main Currents of Marxism, his major work, published in 1976–1978. Kolakowski became increasingly fascinated by the contribution which theological assumptions make to Western, and, in particular, modern thought. For example, he begins his Main Currents of Marxism with an analysis of the contribution that various forms of mediaeval Platonism made to the Hegelian view of history. In this work he criticized the laws of dialectical materialism for being fundamentally flawed— finding some of them being "truisms with no specific Marxist content", others "philosophical dogmas that cannot be proved by scientific means", yet others being just "nonsense". Kołakowski defended the role which freedom plays in the human quest for the transcendent. His Law of the Infinite Cornucopia asserts a doctrine of status quaestionis - that for any given doctrine one wants to believe, there is never a shortage of arguments by which one can support it. Nevertheless, although human fallibility implies that we ought to treat claims to infallibility with scepticism, our pursuit of the higher (such as truth and goodness) is ennobling. 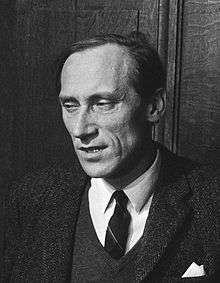 In 1968 Kołakowski became a visiting professor in the department of philosophy at McGill University in Montreal and in 1969 he moved to the University of California, Berkeley. In 1970 he became a senior research fellow at All Souls College, Oxford. He remained mostly at Oxford, although he spent part of 1974 at Yale University, and from 1981 to 1994 was a part-time professor at the Committee on Social Thought and in the Department of Philosophy at the University of Chicago. Although the Polish Communist authorities officially banned his works in Poland, underground copies of them influenced the opinions of the Polish intellectual opposition. His 1971 essay Theses on Hope and Hopelessness (full title : In Stalin's Countries: Theses on Hope and Despair), which suggested that self-organized social groups could gradually expand the spheres of civil society in a totalitarian state, helped to inspire the dissident movements of the 1970s that led to Solidarity and, eventually, to the collapse of Communist rule in Europe in 1989. In the 1980s, Kołakowski supported Solidarity by giving interviews, writing and fund-raising. In Poland, Kołakowski is not only revered as a philosopher and historian of ideas, but also as an icon for opponents of communism. Adam Michnik has called Kołakowski "one of the most prominent creators of contemporary Polish culture". 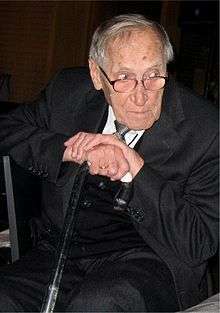 Kołakowski died on 17 July 2009, aged 81, in Oxford, England. In his obituary, philosopher Roger Scruton said Kolakowski was a "thinker for our time" and that regarding Kolakowski's debates with intellectual opponents, "even if ... nothing remained of the subversive orthodoxies, nobody felt damaged in their ego or defeated in their life's project, by arguments which from any other source would have inspired the greatest indignation." In 1986, the National Endowment for the Humanities selected Kołakowski for the Jefferson Lecture. Kołakowski's lecture "The Idolatry of Politics", was reprinted in his collection of essays Modernity on Endless Trial. In 2003, the Library of Congress named Kołakowski the first winner of the John W. Kluge Prize for Lifetime Achievement in the Humanities. 13 bajek z królestwa Lailonii dla dużych i małych (Tales from the Kingdom of Lailonia and the Key to Heaven), 1963. English edition: Hardcover: University of Chicago Press (October 1989). ISBN 978-0-226-45039-1. Obecność mitu (The Presence of Myth), 1972. English edition: Paperback: University of Chicago Press (January 1989). ISBN 978-0-226-45041-4. Główne nurty marksizmu. First published in Polish (3 volumes) as "Główne nurty marksizmu" (Paris: Instytut Literacki, 1976) and in English (3 volumes) as "Main Currents of Marxism" (London: Oxford University Press, 1978). Current editions: Paperback (1 volume): W. W. Norton & Company (17 January 2008). ISBN 978-0393329438. Hardcover (1 volume): W. W. Norton & Company; First edition (7 November 2005). ISBN 978-0393060546. Metaphysical Horror, 1988. Revised edition: Paperback: University of Chicago Press (July 2001). ISBN 978-0-226-45055-1. Modernity on Endless Trial, 1990. Paperback: University of Chicago Press (June 1997). ISBN 978-0-226-45046-9. Hardcover: University of Chicago Press (March 1991). ISBN 978-0-226-45045-2. God Owes Us Nothing: A Brief Remark on Pascal's Religion and on the Spirit of Jansenism, 1995. Paperback: University of Chicago Press (May 1998). ISBN 978-0-226-45053-7. Hardcover: University of Chicago Press (November 1995). ISBN 978-0-226-45051-3. ↑ Martin Jay, Marxism and Totality: The Adventures of a Concept from Lukács to Habermas, University of California Press, 1984, p. 5: "Although such thinkers as the Polish philosopher Leszek Kolakowski (during his Marxist Humanist phase) and the Czech philosopher Karel Kosík were certainly important in their own right, their work was nonetheless built upon the earlier thought of Western Marxists, as was that of the Yugoslav theoreticians published in the journal Praxis." ↑ "Noam Chomsky Reading List". Left Reference Guide. Retrieved January 8, 2014. ↑ McGrath, Alister (2010). Mere Theology. London: SPCK. p. 144. ISBN 978-0281062096. ↑ Adam Michnik (18 July 1985) "Letter from the Gdansk Prison," New York Review of Books. ↑ Norman Davies (5 October 1986) "True to Himself and His Homeland," New York Times. ↑ Scruton, Roger. 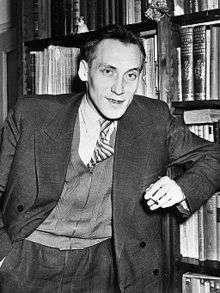 "Leszek Kolakowski: thinker for our time". opendemocracy.net. Open Democracy. Retrieved 27 February 2015. ↑ Leszek Kołakowski (1990) "The Idolatry of Politics," p. 158 in Modernity on Endless Trial. University of Chicago Press, ISBN 0-226-45045-7. ↑ "Library of Congress Announces Winner of First John W. Kluge Prize for Lifetime Achievement in the Humanities and Social Sciences"
↑ Leszek Kołakowski, "What the Past is For" (speech given on 5 November 2003, on the occasion of the awarding of the Kluge Prize to Kołakowski). Wikimedia Commons has media related to Leszek Kołakowski. "Leszek Kołakowski". Information Processing Centre database (in Polish). Kołakowski, Leszek (1974). "My correct views on everything: A rejoinder to Edward Thompson's 'Open letter to Leszek Kołakowski'". Socialist Register.